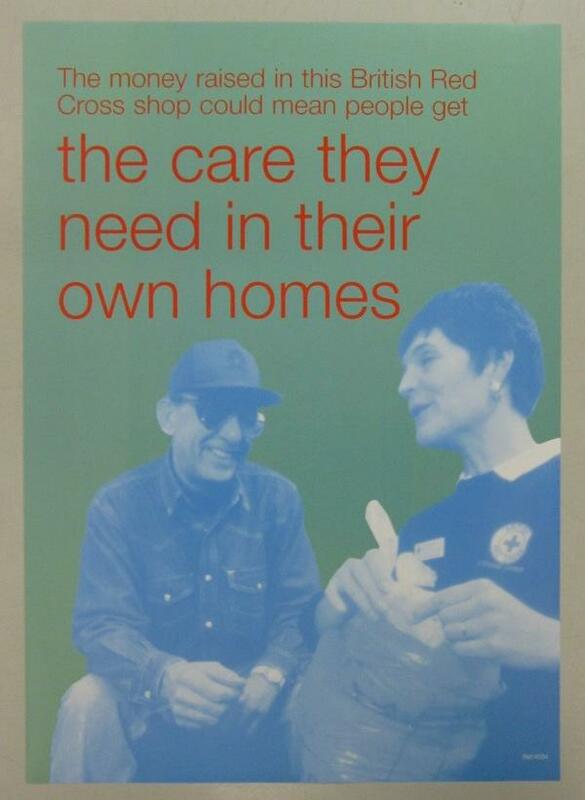 From a set of 8 posters to be used in British Red Cross shops, promoting raising money as a means of providing services such as caring for people in their own homes. Ref. 4534.